Have you ever noticed that your Google search results are different from somebody else’s, even for the exact same search term? 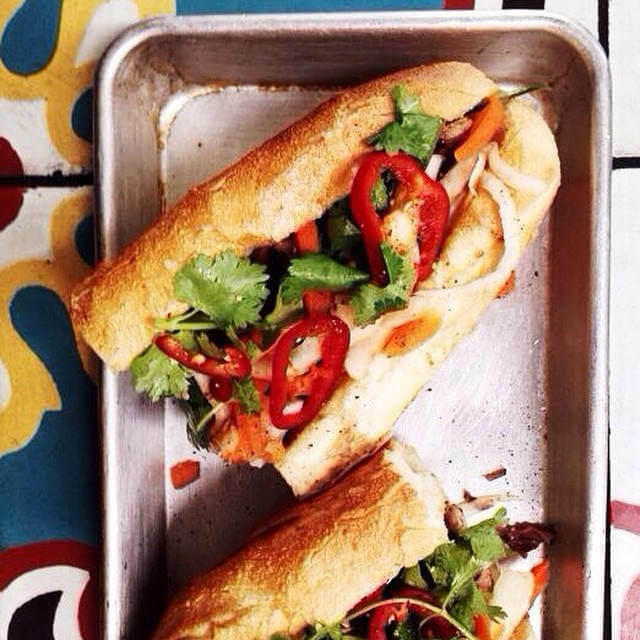 I was on the phone with a friend last week, looking for a good place to meet for a bánh mì. * I searched for “banh mi phoenix,” he searched for “banh mi phoenix,” and we got different search results. Why? Because Google has gone hyperlocal. In their continuing effort to deliver the most relevant search results, Google now delivers search results that are strongly influenced by the searcher’s physical location. So I see bánh mì restaurants near my office in northeast Phoenix, and my friend sees different options near his office in downtown Phoenix. For the typical Google searcher, this hyperlocal personalization is exactly what you want. Why drive 18 miles for a bánh mì if there’s a good Vietnamese restaurant in your neighborhood? But for SEOs (those of us working to help our clients get the best search ranking for their websites), the results can be confusing, because what one sees in a casual Google search is NOT an accurate indication of how the business is appearing in search results for ALL searchers. Is most of our client’s business conducted online or in person? If our client’s business is conducted in person, is it done at our client’s location or at their customers’ locations? Do most of our client’s customers come from within their neighborhood (pizza delivery, grocery), from their area (restaurant, nightclub, movie theater), or from a broader geographic area (hotels, tourist attractions, recreation destinations)? Is our client’s product or service something that their prospective customers will research thoroughly before purchasing (which is typically a desktop computer activity) or is it an impulse purchase like “Let’s find some good street tacos” or “Where’s the cheapest gas in this part of town?”, both of which are examples of typical smartphone searches. Hyperlocal search results on Google are great for searchers. They require more nuanced planning and tracking for businesses and search engine optimizers. *If you haven’t yet enjoyed a bánh mì—a Vietnamese-French sandwich typically packed with thinly sliced roast pork, paté, jalapeño slices, fresh cilantro and mint, pickled cucumber, pickled carrot and daikon radish, mayo, and a drizzle of sriracha served on a crusty baguette—then get yourself on Google immediately and find a purveyor near you. Comment below with your favorite! Image by Stephen O under CC BY-SA 2.0 license.